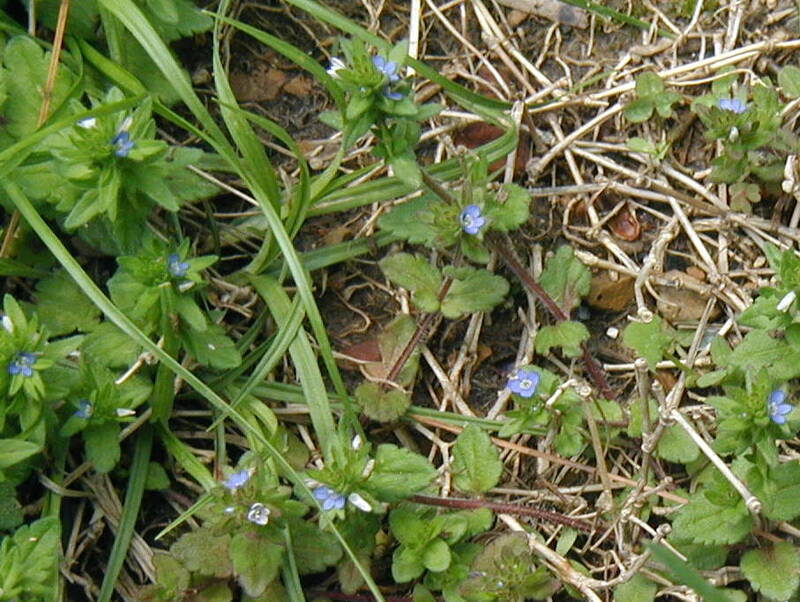 Weeds crop up in many places, especially where the soil has been disturbed. 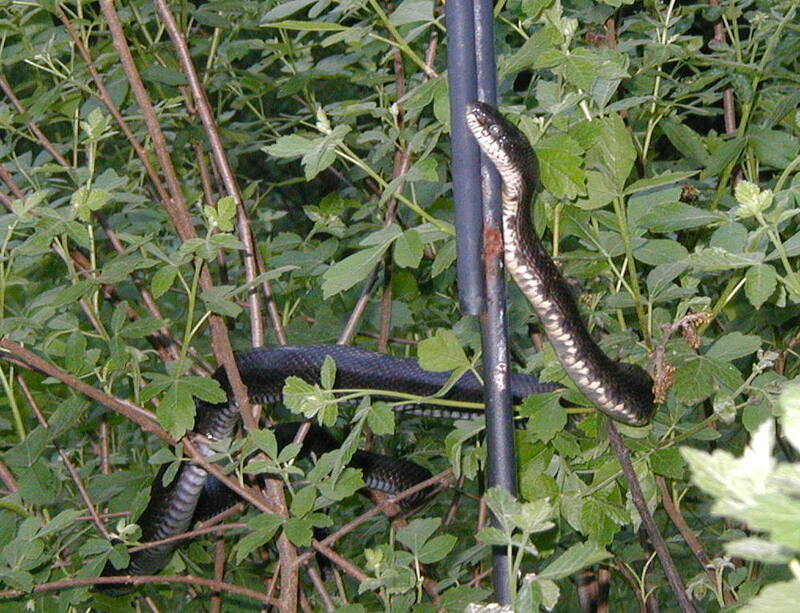 Any gardener can attest to that. 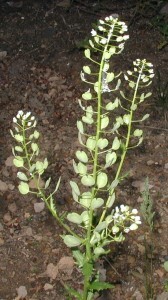 Among the weeds that appear along roads and in fields are several members of the mustard family, such as Field Pennycress and Field Peppergrass. 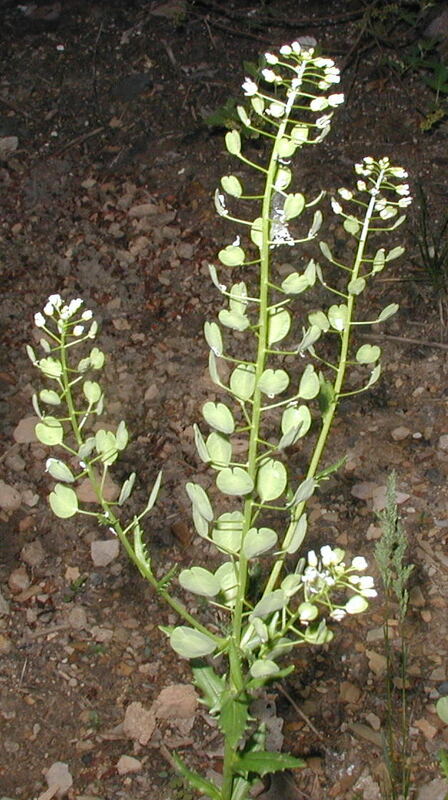 Field Pennycress, Thlaspi arvense, an alien to America, can be found in dry, cleared woods, in waste areas, at the roadside and in fields. 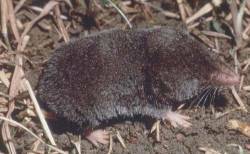 Places where the soil has been disturbed are likely habitats for this foot and a half tall weed. 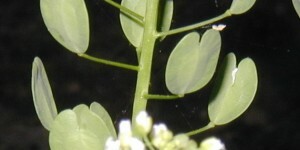 Mature plant of Field Pennycress showing many developing seed pods. Photo taken 13 May 2011. 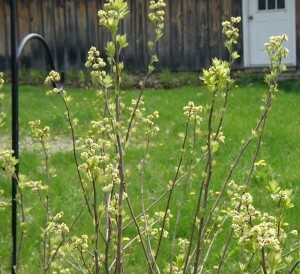 These plants get started early enough that they can complete their life cycle before the end of Spring. Basal rosettes will overwinter from the previous autumn, which makes this plant a biennial. 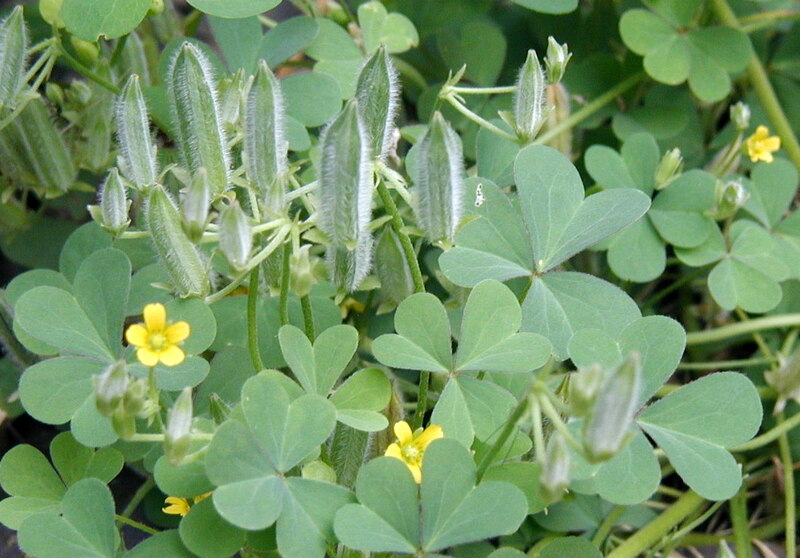 Seeds are developed as early as May, but individual plants can be found growing and producing seeds throughout the growing season. 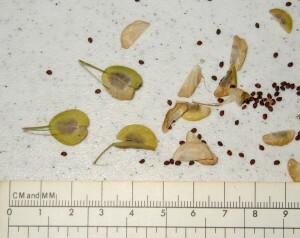 Seed pods are flat, circular “pennies” with a definite notch at the top. 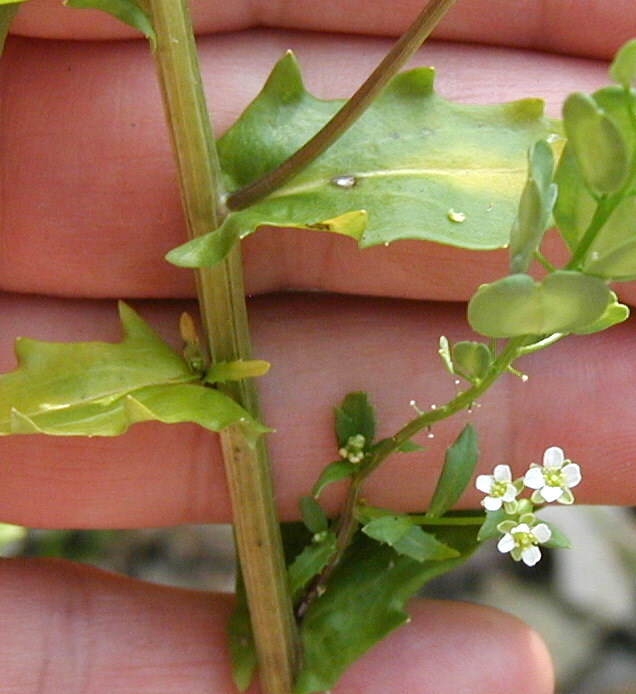 This notch differentiates field pennycress from other similar seed-producing mustards. Developing seed pods are still green. 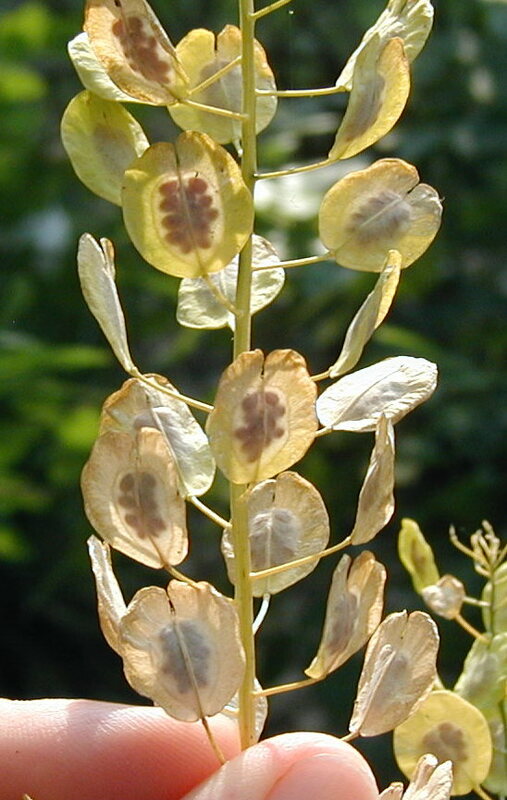 Note the definite notch at the top of each seed pod that identifies this plant as Field Pennycress. 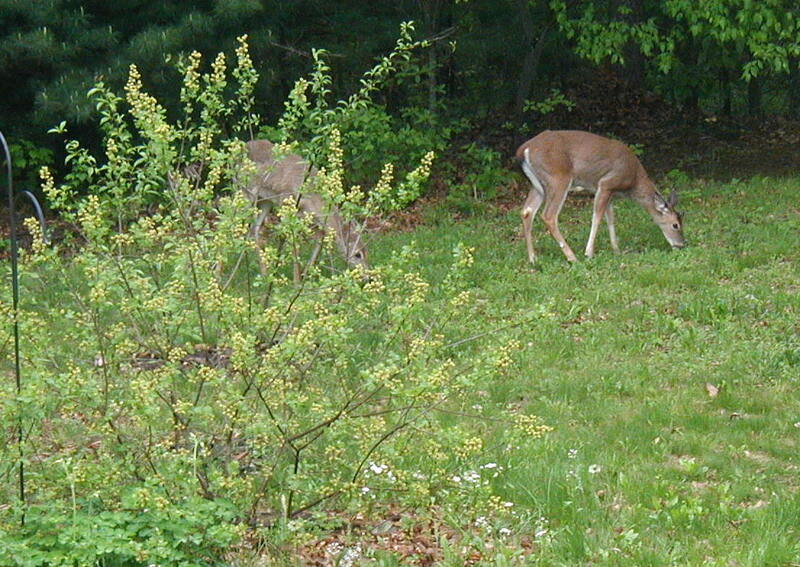 Photo taken 13 May 2011. Leaves are toothed and clasp the stem in Field Pennycress. Photo taken 13 May 2011. Flowers of four small white petals are a hallmark character of a member of the Mustard family, Cruciferae, as in this field pennycress. Photo taken 9 June 2011. As the seed pods dry out the seeds can be seen through the thinning pods, especially when held up to the light. 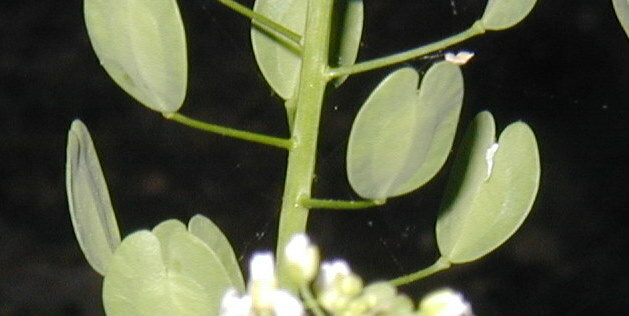 The small brown field pennycress seeds can be seen through the translucent seed pod. Photo taken 9 June 2011. 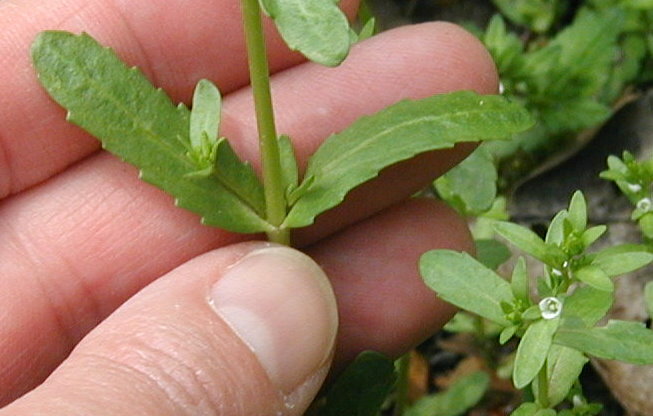 This one small plant produced a half-teaspoon of seeds. As far as seed production goes, I’m not sure if that’s a lot from just one plant. 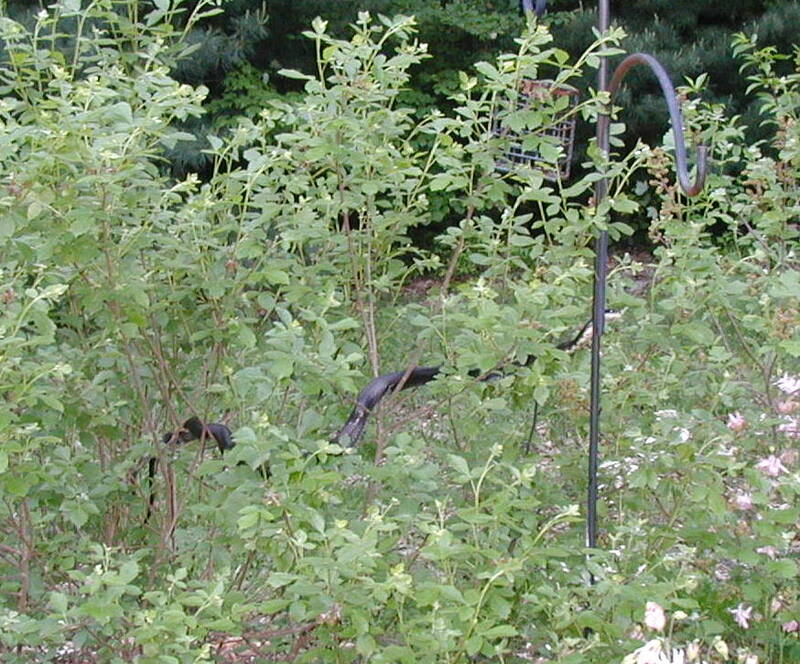 Collecting the seeds from two plants would make a teaspoon of seeds, six plants for a tablespoon, and 18 plants for a quarter of a cup. 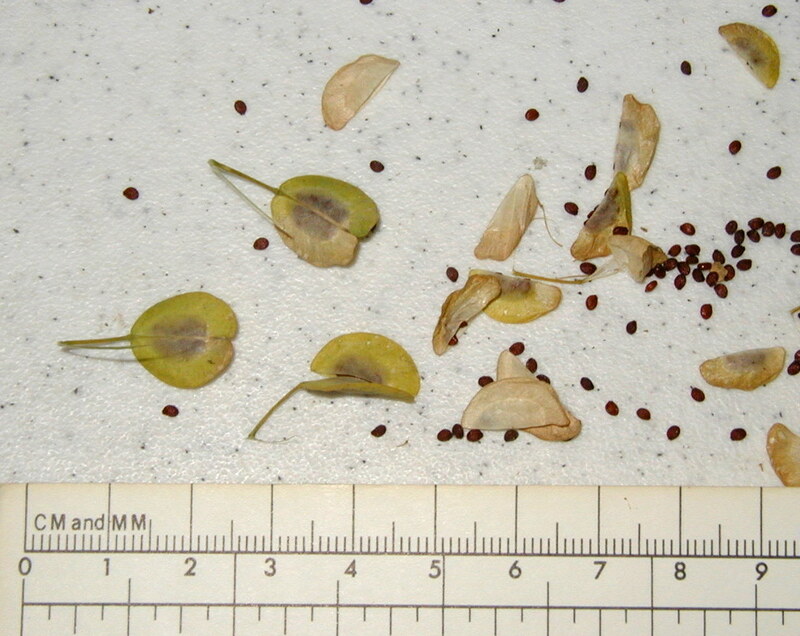 Field pennycress seed pods split down the middle to release their 2 mm long seeds. Photo taken 9 June 2011. 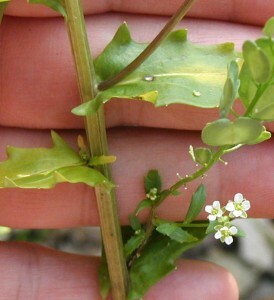 The seeds taste like a sharp mustard or peppery flavor. If you could collect a quantity of them, they could be crushed to use in a spicy homemade mustard. 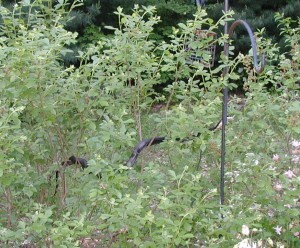 Or the seeds could be used in a spice grinder as a poor gal’s pepper. 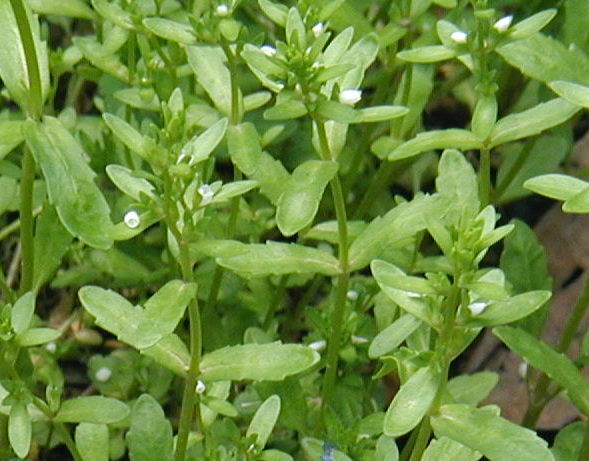 Or even try cooking with it whole, say in potato salad, substituting field pennycress seeds for mustard seed, or dropping some seeds into a vegetable stir-fry to add a little spicy flavor. 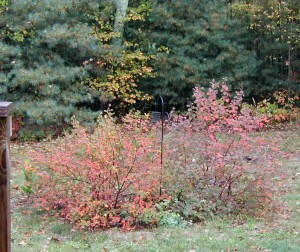 Weeds at the side of the road are bountiful. So many kinds of plants grow in disturbed areas, like what you find at the edge of the road where it meets the fields. If you find a country road and travel it real slowly, you’ll see flowers that you never knew were there. One day in May as I drove along a country road I saw these really tall dandelion-type flowers, so you know I just had to stop. 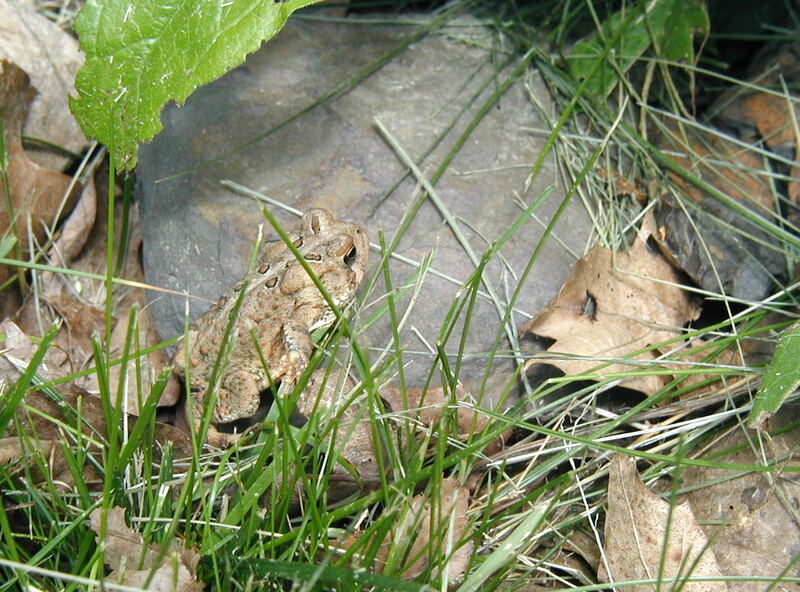 What were these “giant dandelions” that reached over three feet tall? Tall yellow flowers alongside a country road. 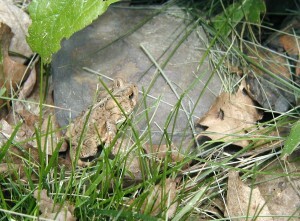 Photo taken 29 May 2011. 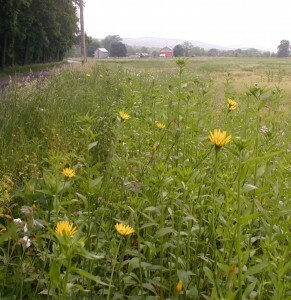 Tall yellow flowers between the agricultural field and the roadside. 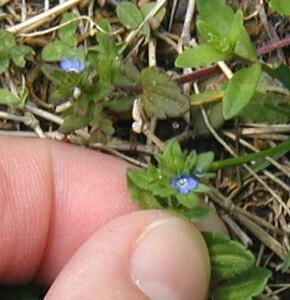 The height of the flower, more than a foot and a half, told me the plants weren’t dandelions. 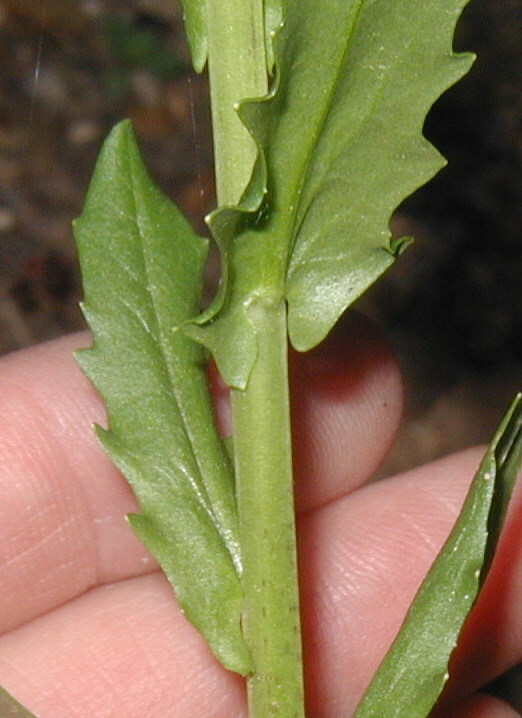 Also, the stem wasn’t hollow, like the hollow tube of a dandelion flower stem, but it felt solid. Against my walking stick the height of the flower heads measures about 3 feet tall. The yellow flowers are large, measuring 1-2.5 inches in diameter. The composite flowers on long stalks with alternate, grass like leaves that clasp the stem make this plant Yellow Goatsbeard, Tragopogon pratensis, an alien to the U.S.A.
Composite flowers of Yellow Goatsbeard. 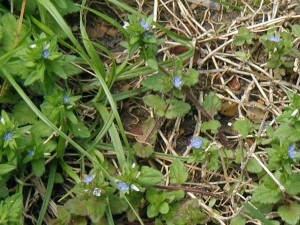 Note the long pointed bracts of a young blossom that's not yet open at the right side of the image. The leaves of goatsbeard clasp the stem at their base. 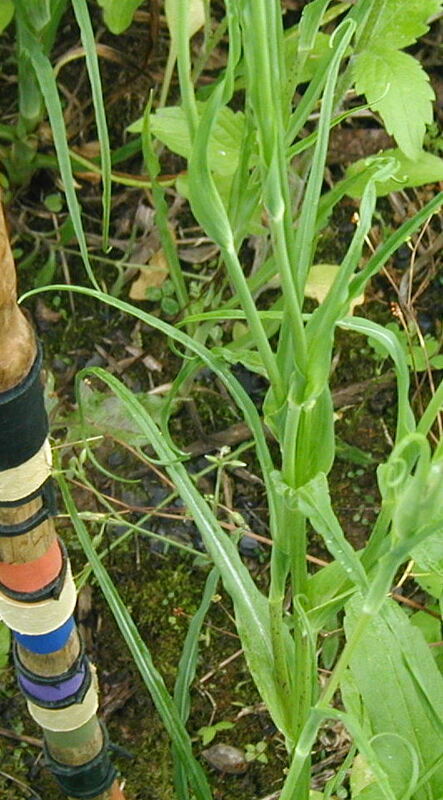 They’re long and grass-like and tend to curl when developing near the top of the stem. 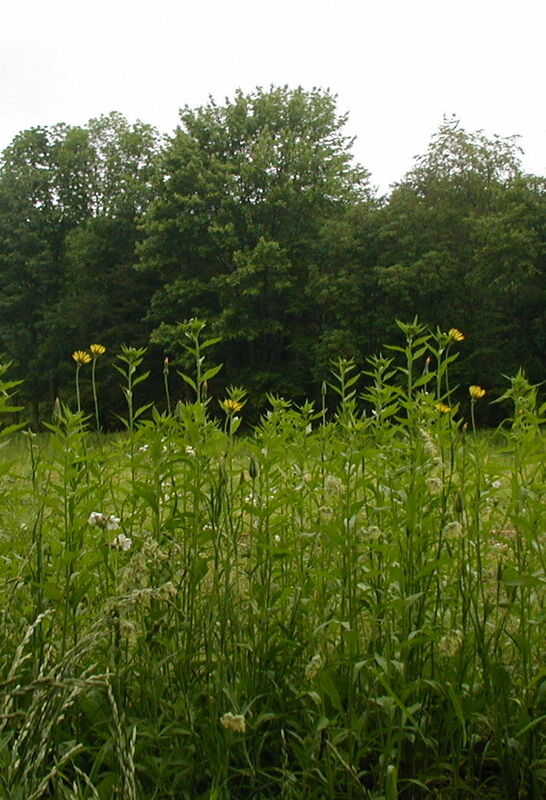 Long, grass like leaves of Yellow Goatsbeard. 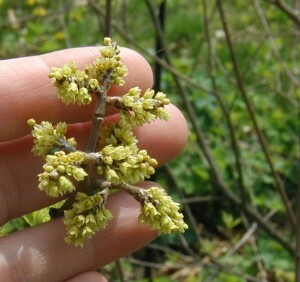 An interesting character is that the blossoms close up by mid-day. You can easily see this in many lawns in our area where goatsbeard attains only a few inches in height before blooming and eventually being mowed over. 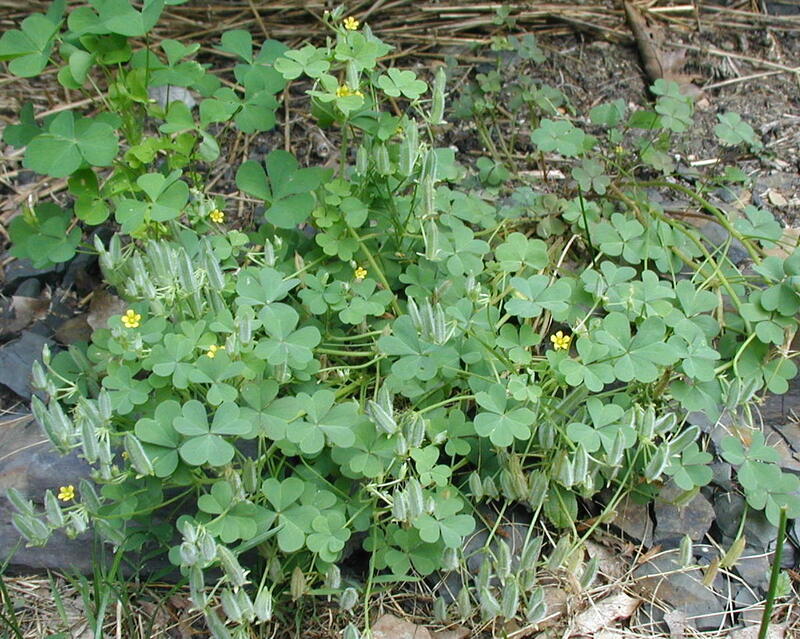 In fact that is where I first learned about goatsbeard. In the grass yellow goatsbeard forms colonies of a few to many plants which open happily in the sunshine and that close up in the afternoon or on a cloudy day. Knowing that it’s often seen as a lawn weed, I was surprised to see that the three-feet tall plants were also Yellow Goatsbeard. I’ll search through my archived pictures to see if I have a photo of the lawn variety. 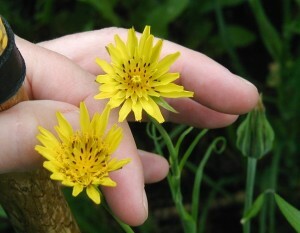 Can anyone share a photo of a colony of yellow goatsbeard in the lawn?